For those who don’t know, IFP Film Week is a conference and market that takes place in September every year. For the section I am in, IFP sets up meetings between interested parties and the filmmakers to help spark movie (or tv) making magic. 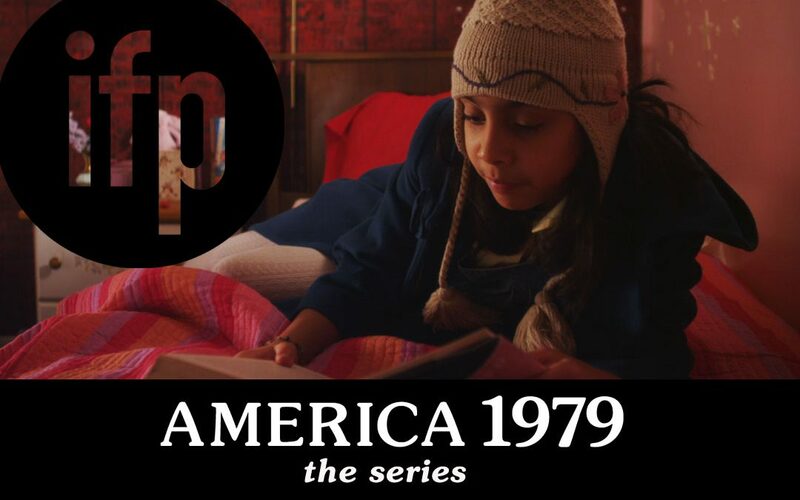 In recent years they have started to support series, and America 1979 made the cut! It’s an event that has the potential to change the course of a project, or a career. A Bit more about IFP: The Independent Feature Project fosters a vibrant and sustainable independent storytelling community, represents a growing network of 10,000 storytellers around the world, and plays a key role in developing 350 new feature and documentary works each year. During its 39-year history, IFP has supported over 8,000 projects and offered resources to more than 20,000 filmmakers, including Barry Jenkins (“Moonlight”), Miranda July (“You, Me and Everyone We Know”), Michael Moore (“Sicko”), Dee Rees (“Pariah”), and Benh Zeitlin (“Beasts of the Southern Wild”). This is definitely a moment where I thank my lucky stars that I have the emotional support from friends and family to continue doing my work. So thank you friends and family! Keep on movin don’t stop now!